Congratulations, writers! You’re halfway through National Novel Writing Month. 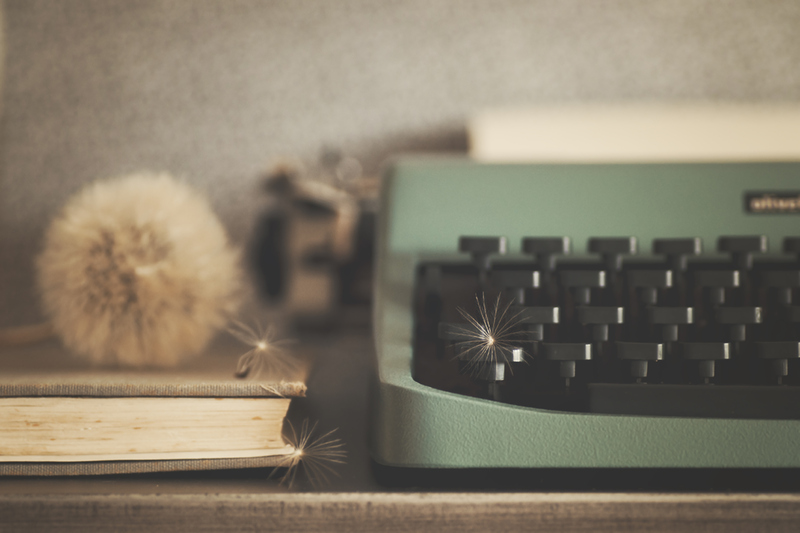 NaNoWriMo is not for the faint of heart, and we applaud you. While everyone else is bookmarking healthy Thanksgiving recipes and getting a jumpstart on holiday shopping with cute gift guides (thanks, Oprah), you’re writing. Non-stop. All day, every day. 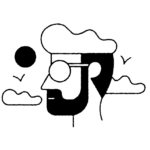 NaNoWriMo is a month-long event that takes place every November. Writers challenge themselves to write a 50,000-word novel in 30 days. As you can imagine, churning out 50,000 words with a beginning, middle, and end in a month is NOT easy. Unless you’re some sort of superhuman, chances are, you’re going to hit a roadblock or two along the way. And if you do find yourself in a NaNoWriMo rut, these books can help. Whether you need a pep talk or need help developing characters, these books have answers and inspiration for every step of your novel-writing journey. Some are old and some are new, but all are helpful in different ways. There’s even one for when you’re finished with your first draft. Here are 11 books to read during NaNoWriMo when you need inspiration! Ever wondered about the single most important piece of writing that Elizabeth Gilbert has ever read? Or what book most inspired a young Junot Díaz? Or, do you just need some words of encouragement about writing from Roxane Gay? 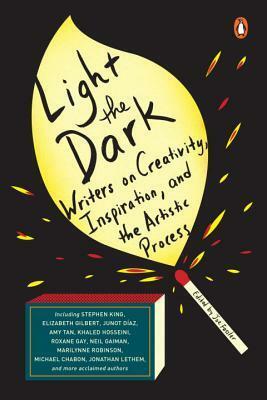 Pick up Light the Dark: Writers on Creativity, Inspiration, and the Artistic Process. It’s a collection of anecdotes and advice from some of the world’s most important authors who have definitely been in your shoes before. Each writer shares a favorite passage of theirs, then explains how it changed their life and approach to the craft. Will this book help you create complex characters that people care about? Yes. Will it also look really good on your bookshelf/desk/coffee table? You bet. Chuck Wendig wants you to write a story that makes people FEEL things. 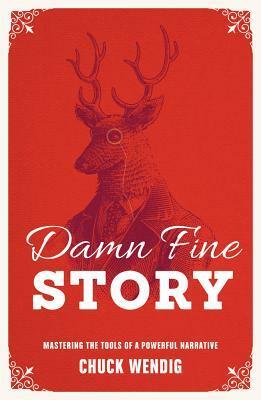 And Damn Fine Story: Mastering the Tools of a Powerful Narrative will help you do just that. If you’re serious enough about writing to participate in NaNoWriMo, you’ve probably already read On Writing. Maybe even more than once. 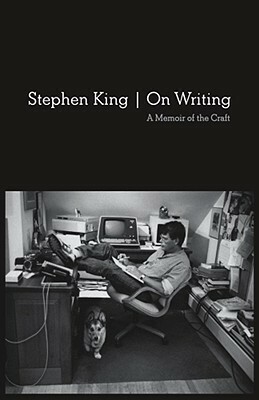 But Stephen King’s memoir-slash-how-to-book is always worth another look. You know all of those pages that you marked and passages that you underlined? Go back to them. We bet you’ll be inspired within a matter of minutes. 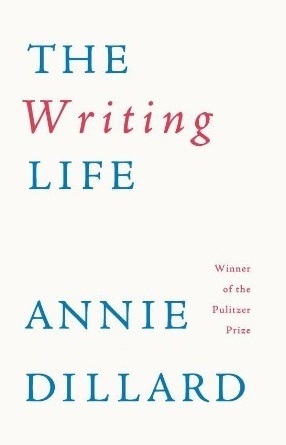 Anne Lamott’s writing advice is simple. (Isn’t the best advice always the simplest?) 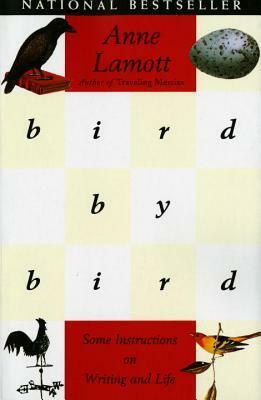 She advises writers to take things “bird by bird” — meaning, just tackle things one step at a time. So if you ever need a reminder to relax, breathe, and accomplish things in small chunks, Bird by Bird: Some Instructions on Writing and Life has your back. Sometimes, when you’re battling writer’s block or feeling the pressure of 50k words a bit too hard, the last thing you want to do is read something else about writing. When you reach that point, it’s time for Things Are What You Make of Them: Life Advice for Creatives. 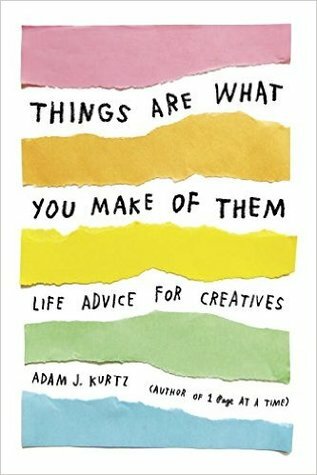 Colorful pages and bite-sized advice, ranging from “How to Get Started” to “What to Do When You Fail,” will help you re-focus on the task at hand. 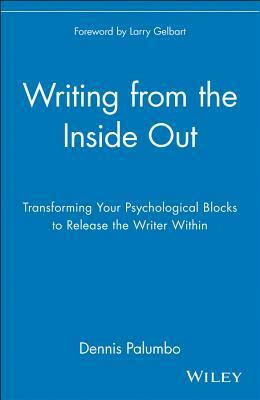 “Be warned: This is not a how-to book,” the foreword of Writing from the Inside Out: Transforming Your Psychological Blocks to Release the Writer Within states. “Instead of a how-to, what Dennis Palumbo has written is a how-come book.” Because sometimes, you don’t need a technical manual; instead, you need someone to keep it real about the complex emotions that come with being a writer, like feelings of jealousy, loneliness, and fear. Palumbo is a psychotherapist himself, and reading Writing from the Inside Out is basically like going to therapy. Cheaper, too. Quick: Name the biggest distraction that keeps you from writing. Chances are you said scrolling through Twitter or checking the views on your Instagram Story. Technology is a big distraction that’s only getting bigger. And when you’re stuck in a creative rut, being alone with your thoughts is important. But our phones get in the way of that critical downtime of doing nothing. 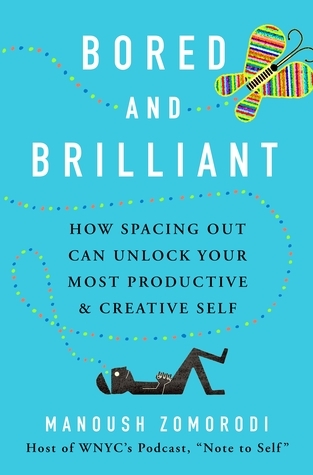 Fortunately, Bored and Brilliant: How Spacing Out Can Unlock Your Most Productive & Creative Self is filled with challenges to help you step away from the smartphone and turn your boredom into productivity. Sometimes, instead of writing tips, tricks, and advice, it’s helpful to read about how a successful author achieved success. 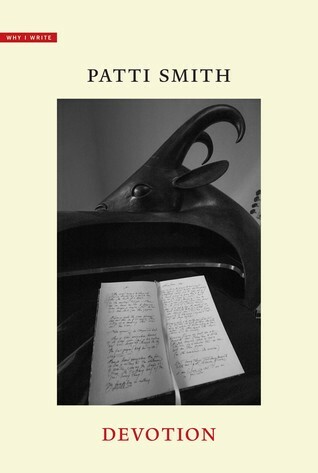 This year’s featured author in the Why I Write series is the beloved Patti Smith. Devotion offers a detailed peek behind the curtain at her inspirations and creative process. It’s a must-read for all writers, any month of the year. Annie Dillard gets it: Writing is a “burden” (her word). When you reach the point in NaNoWriMo where writing feels more like work than fun, turn to The Writing Life. Reading her describe just how hard it can really be to put words to paper will make you feel much less alone. Yes, this book is technically for children. But no, that doesn’t mean you can’t read it and be completely inspired by it. Imagine That! 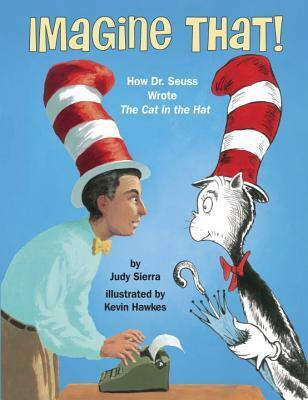 : How Dr. Seuss Wrote the Cat in the Hat includes everything from writing tips to little-known Dr. Seuss facts. Oh, and incredibly detailed illustrations, of course. This book is perfect for when you hit an afternoon slump and need a quick boost. Congratulations — you’re well on your way to writing a novel! We have one last recommendation that will come in handy when NaNoWriMo ends. 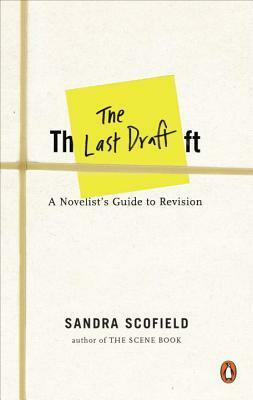 After you finish your first draft (and take a super long nap), check out The Last Draft: A Novelist’s Guide to Revision. It’s filled with advice that’ll help you turn your manuscript into the book of your dreams.